In collaborative work it is very often beneficial to be able to send parts or assemblies to others if their work will be affected by your design work, however; those parts or assemblies very often contain extremely detailed information on all of your intellectual property. Because of this it may be desirable to be able to easily simplify models so that they do not contain sensitive information. First, access the simplified assembly environment by clicking on the Tools tab, and then selecting the Simplify radio button. The two main tools inside the simplify environment are the Model and Visible faces commands. Visible faces is the simpler and faster tool, but with less control over the model. It works incredibly well for things like gear boxes or wiring boxes where the outside footprint can be given, and the details inside can be easily hidden, but more open assemblies like this floor jack are more difficult as nearly all parts are externally visible. 1) Click the visible faces command and the model will highlight green, then click process. White is the default color for exterior faces, but it can be changed in simplified assemblies. Before clicking preview you can uncheck elements in the path finder to see what has been labeled an interior face to be hidden in your assembly. 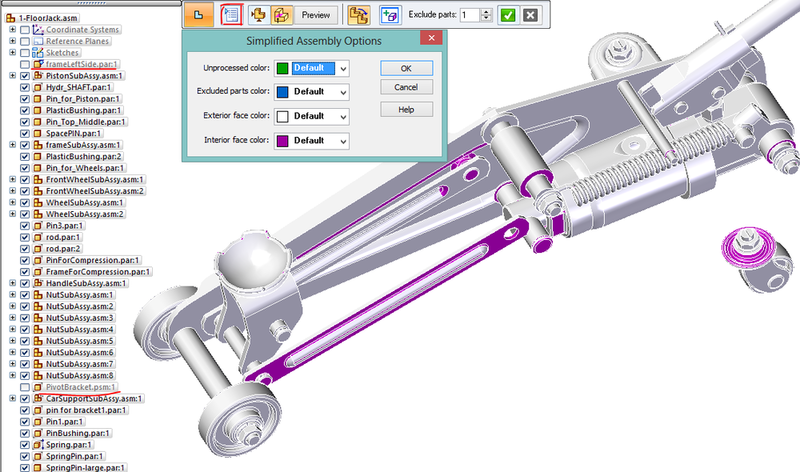 As the screenshot above shows, frameLeftSide.par and PivotBracket.psm have been unchecked so that the internal faces can be seen. Since this is such an open assembly, almost nothing of use has been hidden at the start. 2) In situations like this an extremely helpful tool is the Exclude Parts option. 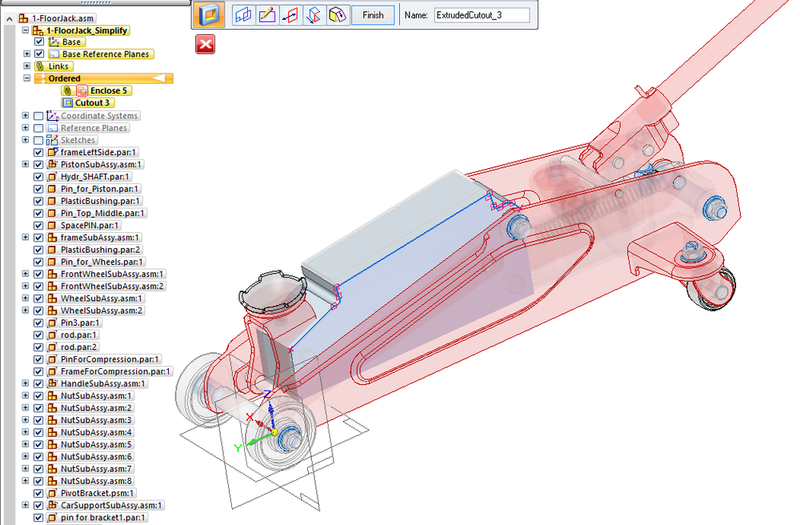 The value input goes from 1 to 100 and excludes elements from the simplified assembly based on size. 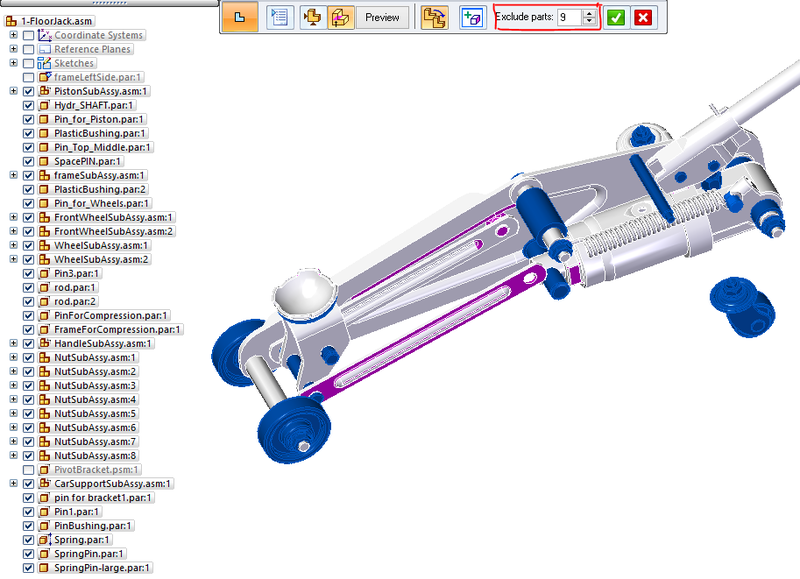 In the following screenshot, you can see how increasing the number hides many of the bolts and smaller components. 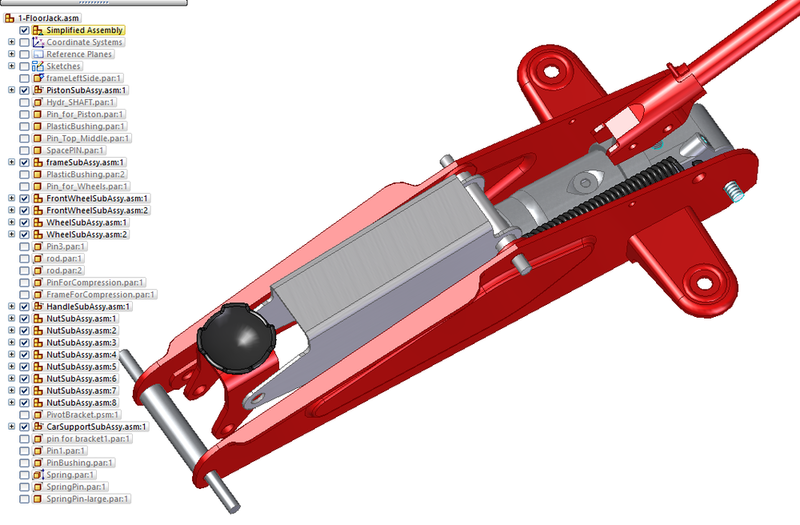 3) Clicking Preview generates the final view of the assembly. Click finish. 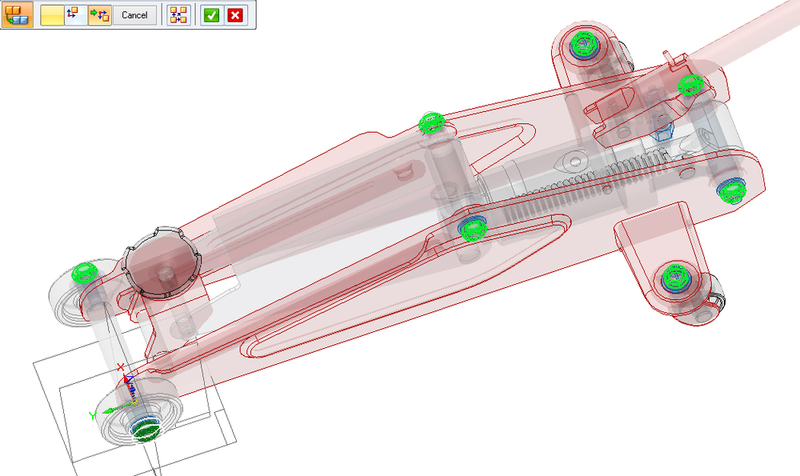 All parts and subassemblies are automatically hidden showing only the simplified view. Note: An example of a more enclosed assembly is shown. Without any adjustment the spring, most of the mechanical workings, and the circuitry boards were hidden. A small amount of adjustment hid the rest of the hinge pieces and the external latch. 4) This simplified assembly can then be saved out as a separate assembly by right clicking on Simplified Assembly at the top of the path finder and using save as to set your save preferences. Visible Faces is a very quick way to generate an outside shell and hide smaller parts, but for more control over what elements are or are not included in the simplified assembly the Model command is a very powerful tool. 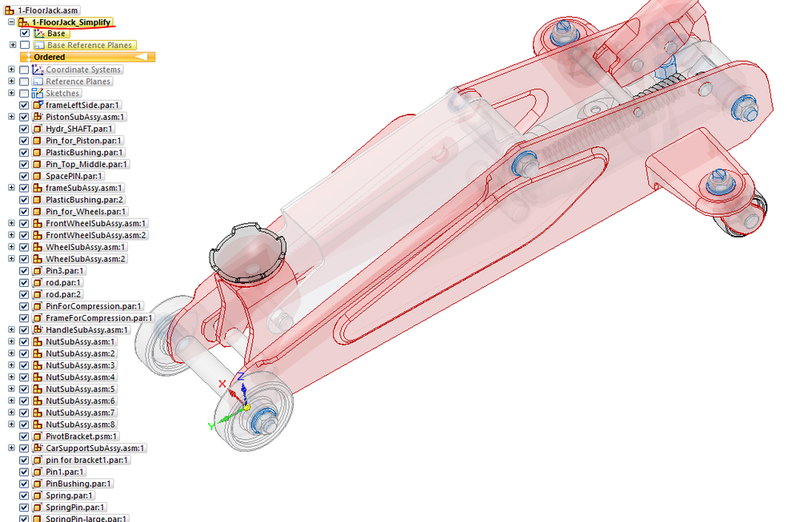 The model command allows you to make a simplified assembly in a single part based on simplified geometry of elements in your original assembly. 1) Click the Model command. You will now notice that you are in a single part in the pathfinder. Also notice that you have access to all the normal feature commands from an ordered part. 2) The first tool to look at inside the Model environment is the enclosure command. Inside the enclosure command you can apply simple geometry to a component of your assembly. I am going to put a box on PivotBracket.psm. 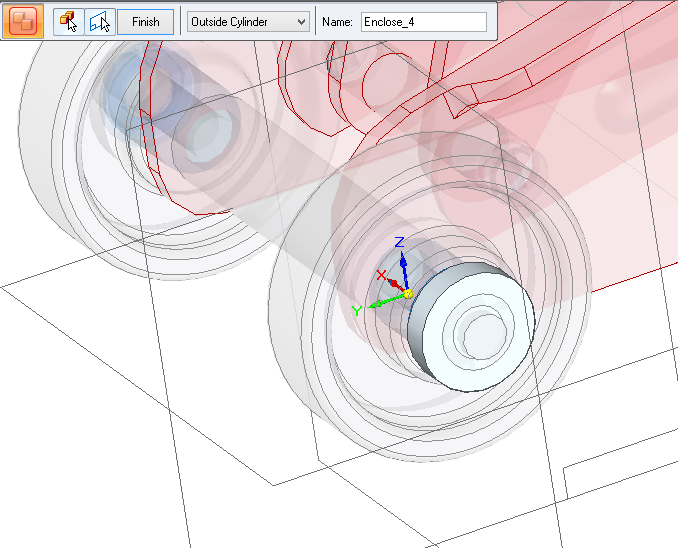 First select the part that you want to enclose, and then select a plane to define the orientation of the top and bottom of the box. I am just using the base reference planes for this. Result is shown in the following image. This is not a very close representation, but we can easily improve this with a cutout. 3) Select the cut command and then select the side face of the box, then just draw a profile of the part, with as much or as little detail as you want. This results in a representation part with very simplified geometry, but a similar display footprint. If this needs to be done on multiple similar parts in the assembly, the Duplicate Body command can be used to quickly apply a shape to similar pieces. In this example I will apply an outside cylinder to all the outside hex nuts. 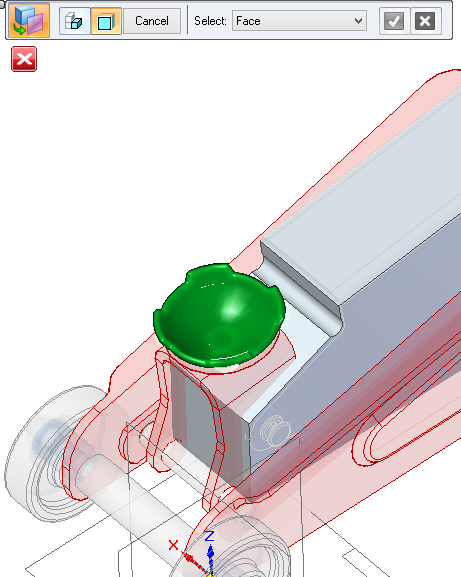 4) Start by using the enclosure command to apply an outside cylinder to any of the hex nuts. 5) Select Duplicate body, then select the body to be duplicated. 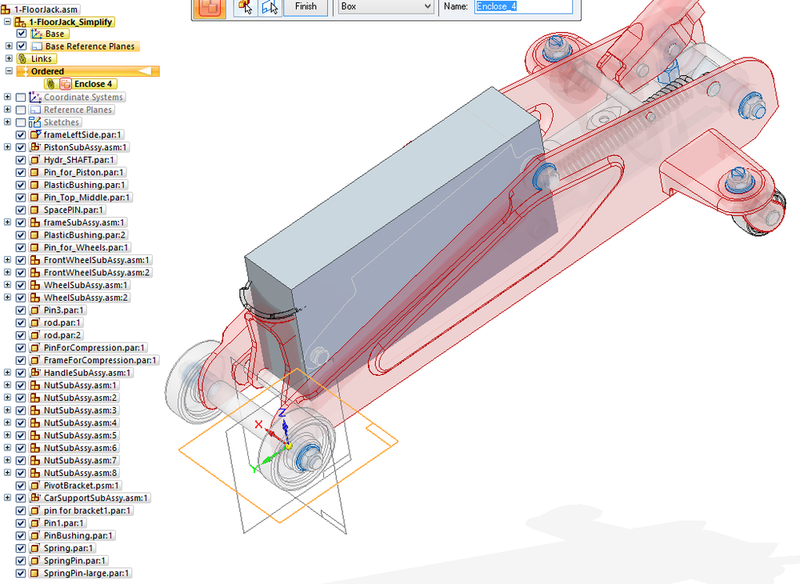 6) Select the body to duplicate from and select all of the other occurrences of the part that you wish to simplify. The “From” part will highlight a darker green. 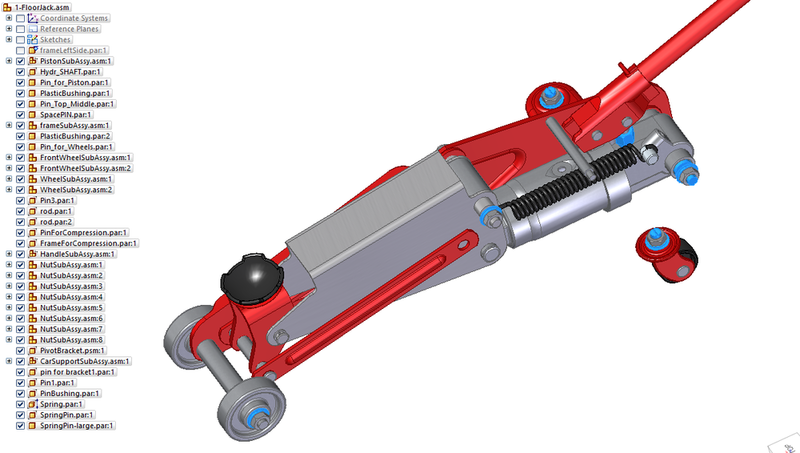 Another thing to note is that if there is a piece that you need to copy exactly into the simplified assembly that can be accomplished with the part copy command. 8) Select Part Copy and then select the component of the assembly that you wish to work with. 9) Select what elements of that part you would like to include, options in the drop down are face, body, chain, and feature. 10) Select body to include the entire component. 11) Click finish. Notice that it added a Solid Body under Construction Bodies. 12) Right click and select Toggle Design/Construction to add it to the construction body. 13) To see the simplified assembly right click on the simplified part in the path finder and select hide previous level. 14) Click Close and return to exit the model environment. By right clicking on the Simplified assembly in the path finder and using save as you can save out the simplified assembly as a separate assembly.